My wife and I went to EyeTrends with very unique needs!! I am a pilot and need glasses and readers tailored to my work environment!! My wife has had Lasik and needed special glasses for reading and long distance.. multifocus with different prescriptions for each eye for up close and distant vision!! We could not be happier with the service and support!! The selection of frames and lense options are great and the Doctor Chris is AWESOME!! I have never been so pleased as I am with EyeTrends!!! Outstanding and friendly staff, clean office and gorgeous frames for every pocket!!! I had been looking for about 2 months around the Grapevine and Southlake area for an optometry store with a variety of frames but nothing had really caught my eye until I visited this place. Honestly there is a big selection of frames and the best thing is how friendly the atmosphere feels. Dr. Steritz it’s the best! I would truly recommend to anyone in the area to give it a shot. I recently changed eye doctor’s and had my first appointment with Dr. Chris Steritz of Eye Trends Southlake. From the setting of the appointment over the phone, I could tell they were a first class group. When I arrived to my appointment everyone was so friendly, professional, and extremely knowledgeable. From selecting my glasses, the type of lens and frames Dr. Steritz’s team was great! My eye exam was thorough, not rushed. Dr. Steritz spends the time to educate you about your eyes and the diseases we must try to avoid. He was very detailed about Diabetes, and the changes I must watch out for in the future. If you want a great Optometrist, make an appointment withDr. Chris Steritz at Eye Trends Southlake. Simply the Best!!!! Your Home For Eye Care! You NEED to make Dr. Chris Steritz your new eye doctor!! Eye Trends Southlake is brand new and beautiful inside with THE BEST frames to choose from! The natural light in the optical really allows for a great experience when trying on glasses (honestly it was so hard to choose!). From prescribing glasses and contacts to treating red and painful eyes, Dr. Steritz can manage any eye problem you might have! Plus he takes the time to answer all of your questions without feeling rushed. If you live in the area I recommend coming by for a visit and making Eye Trends your home for eye care! Beautiful Office in a Great Location! Beautiful Office in a great location! The optometrist is very knowledagle and helpful with explaining your benefits. Dr. Steritz is also very personable and professional. The best part about my visit was the fact that they had my new glasses within 30 minutes! I would absolutely recommend this location to any and everyone, and if you aren’t in the Southlake location it is definitely worth the drive! Googled this place and ended up going there due to the doctor picking up the phone and telling me they had high end and good quality frames since my insurance didnt cover lens crafters and all other places had cheap ugly frames. Set up an appointment with Dr. Steritz. Came to office to be greeted by him as well. Young but professional and knowledgeable about his practice. Great frame selections (name brand) that I couldn’t find anywhere else but lens crafters and now here. Would highly recommend going here. Will be back for more frames. Excellent customer service. Super nice and helpful. Love my new glasses! Great customer service, last minute appointments and an exceptional exam. Not just a great Dr. but also a great person as well. Took the extra time to answer all my questions. 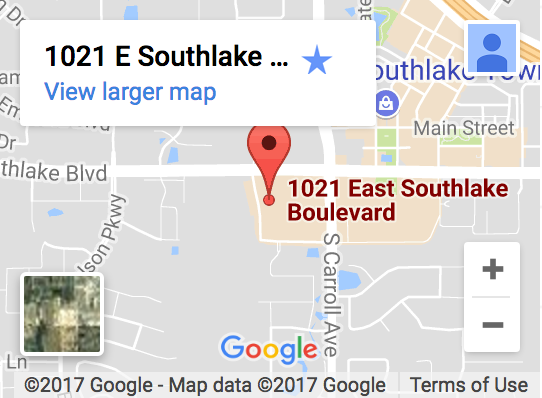 I visited Eye Trends Southlake, in January. Their beautiful, optometry showroom is bright and inviting, in the new Park Village Shopping Center. They have an extensive selection of designer frames. I received a thorough eye exam and learned more about my dry eye problems (a very common problem for women over 50). Dr. Chris Steritz prescribed eye drops and educated me about other treatment options. With so many frames to choose from, I took my time trying on a wide assortment, before finding the right ones. The lenses were meticulously measured to fit my face and I learned about various coatings that can be applied. I had been wanting to try contact lenses. I tried some daily, multi-focal lenses (pretty cool that they were for both near and far) and with some patient coaching, learned how to use them. After seeing the improvement in my vision, as a result of my visit, I realize that I should make my eye care a higher priority. I will be back in 6 months. Go see for yourself how much better your vision can be after visiting Eye Trends Southlake! Friendly, thorough exam. Nice new, clean office. Very nice service so help full.